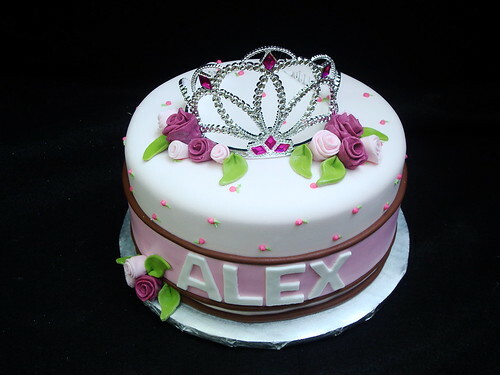 Pretty Princess Cake, originally uploaded by Austin Cake Studio Holley. This Princess cake and the previous “Skull and Crossbones Cake”, were for a joint sibling birthday party…with the obvious theme…Pirates and Princesses! The Princess cake was Chocolate cake with vanilla buttercream, and the Pirate cake was Carrot cake with cream cheese icing, both covered in fondant.